The New Westminster Museum and Archives presents their latest exhibition, Witness Blanket. Inspired by a woven blanket, this large-scale art installation is made out of hundreds of items reclaimed from Residential Schools, churches, government buildings, and traditional and cultural structures including Friendship Centres, band offices, treatment centres and universities, from across Canada. The exhibition opens on Monday, December 5, with an opening reception on Tuesday, December 13 (6 pm – 8 pm) on the Anvil Centre third floor. 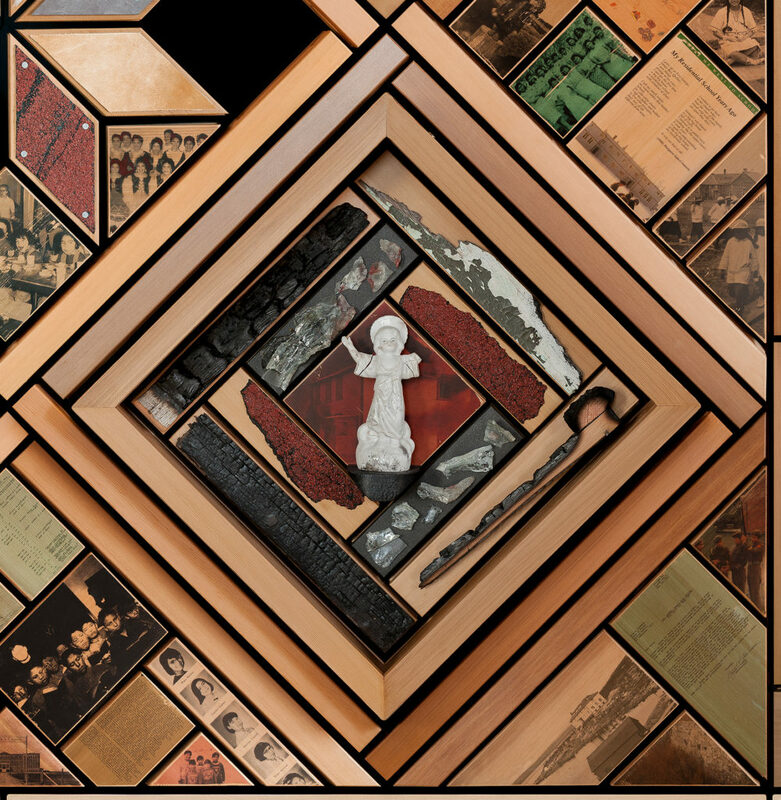 The Witness Blanket stands as a national monument to recognise the atrocities of the Indian Residential School era, honour the children, and symbolise ongoing reconciliation. For decades, Canadian government policy dictated that First Nations children move to boarding schools away from their families. Abuse was common and children were punished for speaking their languages. “As well, since First Nations content is woven into all grades of the new school curriculum, this gives students and children a way to learn about this aspect of Canada’s history. The museum is also bringing in programming content that will be a resource for people wanting to learn more,” said Capota. The history and impact of the residential schools program will be taught in BC schools at grades 5, 10, and 11/12 though the materials can be adapted to children as young as grade 3. This exhibition can open a conversation and continue the education. The Witness Blanket was envisioned and created by Kwagiulth artist and master carver Carey Newman after months of collecting. “The Witness Blanket may be the most important piece I have ever created,” Newman says in a short film introducing the piece. The museum has developed and scheduled a series of associated programs to enhance this feature exhibition including Cedar Bark Basket Weaving, Salish Weaving Quarter Pouch, Mini Cedar Headband Bracelets, a Blanket Exercise, and a screening of the film, A Tribe of One. Further programming is being confirmed and will be updated on the museum website. The Witness Blanket will be on display at the New Westminster Museum until April 21. The exhibit’s website is a great source of information as well. The New Westminster Museum is located at 777 Columbia Street on the third floor of the Anvil Centre, New Westminster. The museum is open to the public every day, 10 am – 5 pm (with extended hours on Thursdays to 8 pm). Admission is by donation. For more information, call 604-527-4640 or go to www.nwmuseumarchives.ca. 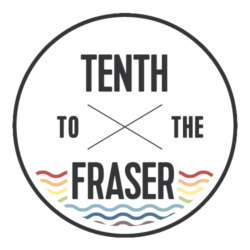 The New Westminster Museum and Archives are operated by the City of New Westminster and are financially assisted by the Government of British Columbia through the British Columbia Arts Council. On Monday, August 29th, the Coquitlam Adanacs Jr. A lacrosse team won the Minto Cup in overtime against the Orangeville Northmen from Ontario. It was a thrilling overtime victory in the final game of the five game series at the Events Centre in Langley. To get to the final series the Adanacs and Northmen had to both get past the Calgary Mountaineers and Delta Islanders in round-robin play. This is the first time a team from BC has won the Minto Cup since the Adanacs last won it in 2010. You might be wondering why an article about the Coquitlam Adanacs is on Tenth to the Fraser, a magazine focussed on New Westminster? First, once there’s a BC champion, lacrosse fans normally rally behind their provincial team. There were plenty of New Westminster Salmonbellie fans at the Events Centre for the Minto Cup, hoping the Adanacs did well. 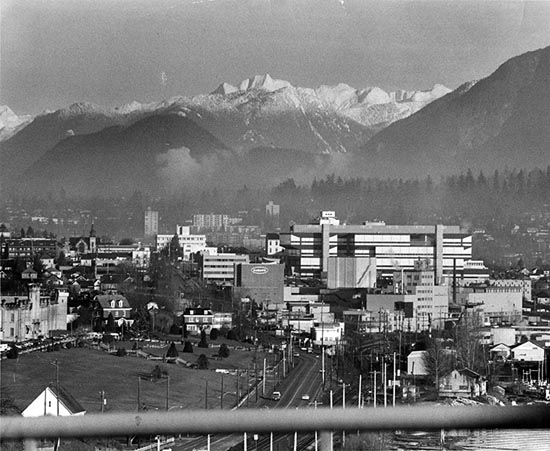 But secondly, the Adanacs, despite their ongoing rivalry with the Salmonbellies, have their roots in New Westminster. The “Adanac Basketball Club” was formed in New Westminster in the 1920’s (the Salmonbellies preceded them by decades). In spring 1933 the club started a lacrosse team to keep the players active during the summer. During the Second World War the team disbanded with most of its players in the armed forces, but was restarted after the war and played again until 1951 when they merged with the Salmonbellies. In 1965, former players and executives resurrected the old team name in Coquitlam, and except for one year based in Portland, Oregon, in the professional league, the Adanacs have been in Coquitlam ever since. 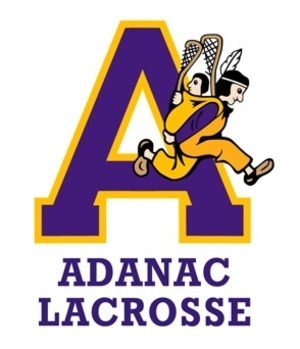 While no one can doubt the Salmonbellie-Adanac rivalry, many big names in Salmonbellie history wore the purple and gold of the Adanacs at one point or another in their careers. 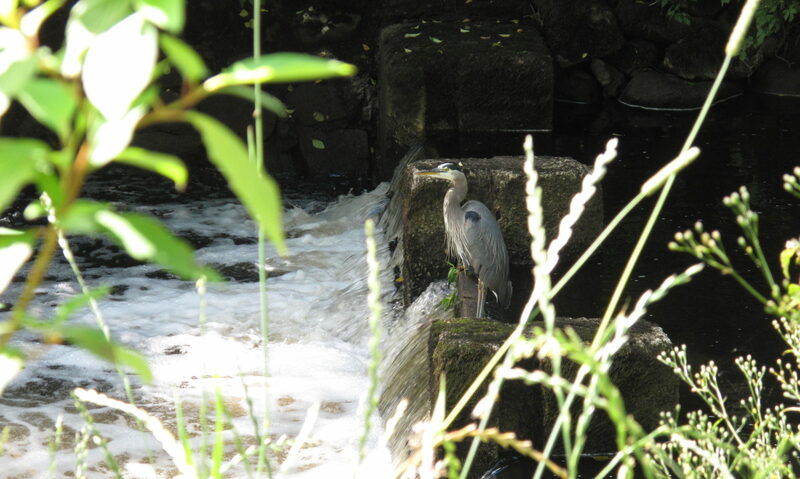 With thanks to Stan Shillington for historical detail. A friend recently told me an incredible story about an acquaintance of his who is currently living in Britain. He was chatting on Skype with his father in Hong Kong when he realized that his Dad was starting to slur his words and one side of his mouth was drooping – he was having a stroke! The son immediately called the Emergency Ambulance Service in Hong Kong, sent an email to his father’s next door neighbour to ask him to go next door, then opened the front door to the apartment electronically, all while keeping an eye on his Dad via a couple of the many security cameras he had installed throughout the suite. His father was in hospital within about half an hour of the stroke beginning and recovered completely, all thanks to technology, connections and instantaneous communication across the world. 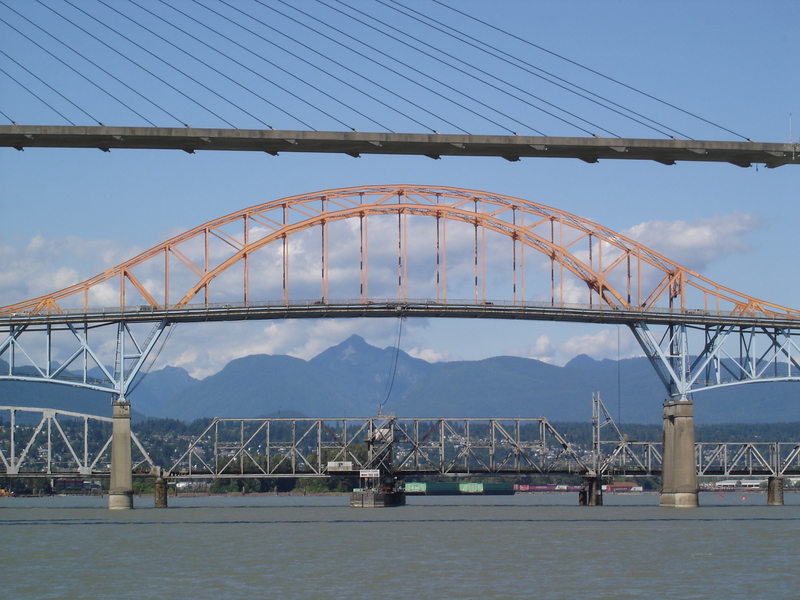 Now let’s look back to how people connected and got information when New Westminster began. 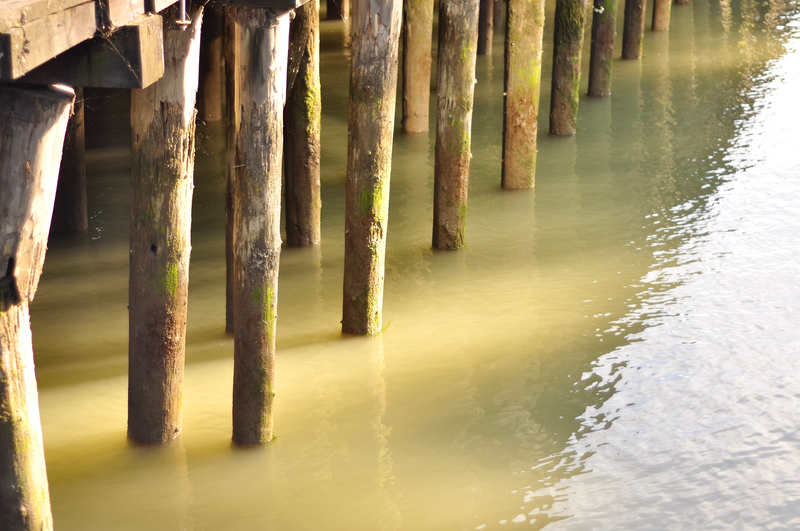 When Richard Blanshard resigned as governor of Vancouver Island in November 1850, it took almost nine months before he received notification that his resignation had been accepted and he was authorized to quit the Island. By 1858 the turn-around time had been reduced by almost half, thanks to improvements in transportation, especially the addition of steam power to ocean transport. could be delivered within hours. People had access to relatively current news in newspapers from the very beginning of New Westminster, but on April 18, 1865 the first telegraph message was received in the Royal City, carrying news of President Lincoln’s assassination. People were amazed that they were hearing of an event that taken place mere hours earlier. They read the details in the newspaper the following day, but individual and personal news could now travel in hours, not days or weeks. 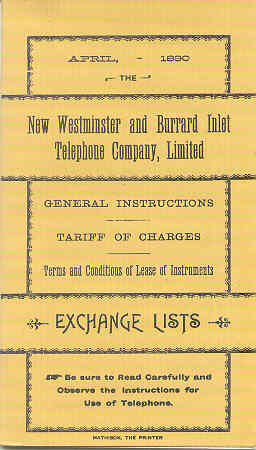 Telephones were generally available to the public in New Westminster by the 1880s. 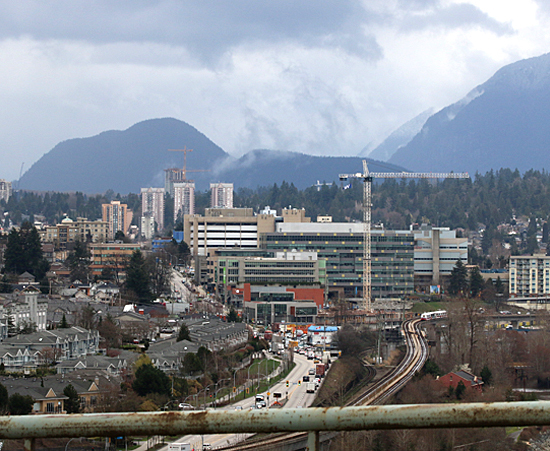 In 1883 a telephone line was built to Port Moody and later to Vancouver. 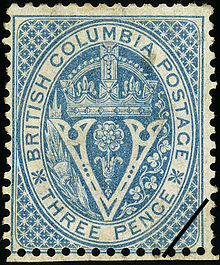 By 1891 there were 128 phone subscribers in the New Westminster Exchange. 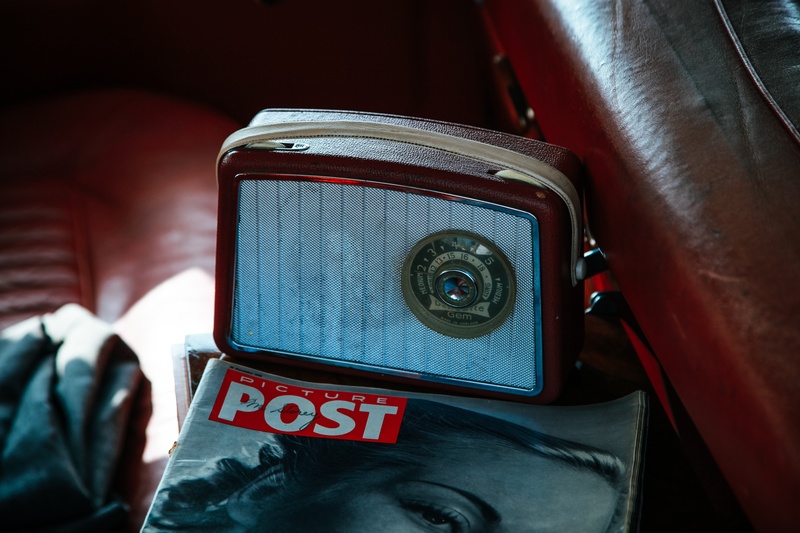 Another relatively early way of receiving news was by radio. Families gathered around the radio for the daily news and for sports broadcasts. The first radio broadcast of an ice hockey game took place on 8 February1923, with the broadcast of the third period of a game between Midland and North Toronto. Later that month, the first full-game broadcast took place in Winnipeg and that same season, hockey broadcasting pioneer Foster Hewitt made his first broadcast. Baseball was broadcast even earlier. The first baseball game ever broadcast was on the 5th of August, 1921 on KDKA in Pittsburgh. The first World Series that was broadcast in October that same year. The voice was that of Tommy Cowan who was in the WJZ Radio studio in Newark, NJ with a telephone at his ear, standing at a microphone. A newspaperman at the ballpark spoke into the phone and told him what was happening in the game, and Tommy, as best he could, reported it over the air. Since Cowan relied on someone at the ballgame to feed him information, he was essentially the first man to “re-create” a baseball broadcast. Re-creations were commonplace until World War II and there is a photo of a local one in the New Westminster Museum from the late 1920s or early 1930s. It shows a large number of men standing in the middle of Columbia Street in front of the Windsor Hotel, Kidd Market, McKenzie’s and the interurban station. Above the McKenzie’s building is a large diamond-shaped signboard and all the men on the street are looking at it. At first glance it’s hard to figure out what is happening, but in fact, they were watching a World Series baseball game. The large signboard was sponsored by the Vancouver Sun and represented a baseball diamond. One person was listening to the game on a radio (still rare in New West at that time), and someone else then changed the various signs and markers on the board to give the play-by-play, showing the score, who was on base, who was at bat etc. So now we have a re-creation of a re-creation of a game. One person is at the game, giving a play-by-play to a second person who is in a radio station filling in with sound effects and extra details to make it more “real” to his listeners. In New West, someone is listening to that radio broadcast and relaying the information (possibly by ‘phone) to another person on the roof, who moves the markers around so the folks on the street can “see” the game. 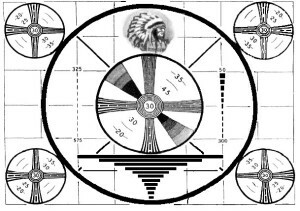 Of course, once television arrived, people could see the games themselves without any intermediary, and within a relatively short time, the expectation of seeing and hearing details of any event in real time became the norm. So have we advanced or have we regressed in terms of connecting with other people? Some of each I suspect. Our social networks have changed in less than 50 years from friends and family who live within walking distance, to potentially thousands of people around the globe whom we will never actually meet. The number of “inboxes” many of us possess is staggering: Email (usually more than one), public Twitter, Twitter DM, public Facebook, Facebook messages, Facebook chat, LinkedIn messages, public Google +, Google + messages, blog comments, Skype, text messages, Instagram, phone, voice mail, forums, groups and social networks. Why do we do that? Often because of the belief that interacting with more people is better than interacting with fewer people. But social media gives us a feeling of intimacy and closeness that doesn’t actually exist. the question, are we more connected or less connected than our ancestors? The answer is yes. A favourite place to go and reconnect with myself in the city is the public library on 6th Avenue’s art gallery upstairs. This tiny little gallery is often full of students with their faces in textbooks or laptops but I’ve really enjoyed throwing on some nice ambient music in my earbuds and having a wander. Don’t know what gallery I’m talking about?